Working with the existing designers and developers DJM Digital Solutions Ltd, the project involved redeveloping the content to ensure it is being correctly crawled by the search engines. 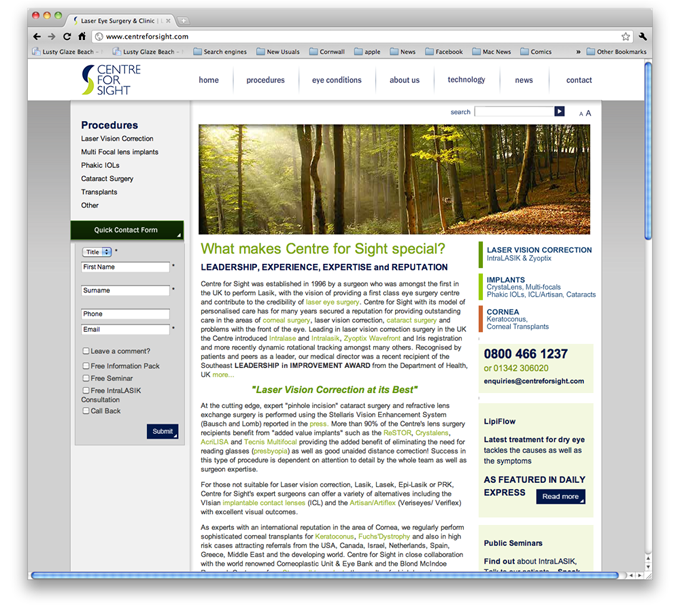 SEO techniques were applied throughout the site to increase niche, long tail keywords to gain a larger market share of particular specialist forms of laser eye surgery. Google Adwords PPC advertising was then employed to target the more general terms relating to the site, giving an even spread of online promotion.